Asking Price: £960 (free worldwide shipping). Click the POA button below to place your order. ‘Golden Era’ is about Hip Hop’s golden age. The golden era is usually cited as being during the 1980's and 1990's. Diversity, quality, innovation, together with strong themes of Afrocentrism and political militancy, influence and define this era. The music was experimental and the 'sampling' eclectic. 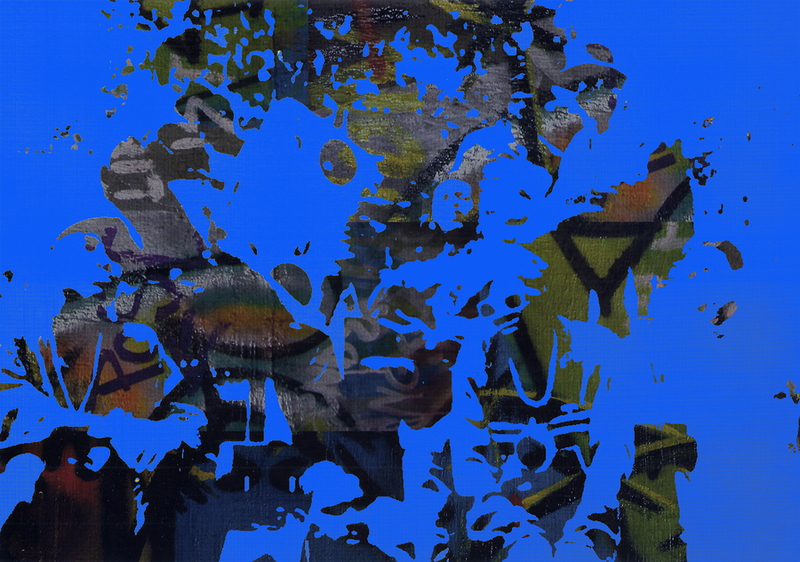 In 'Golden Era (Blue)', three-dimensional figures in traditional b-boy, hip-hop stance are laid over a second collage of paint and graffiti colours.